Mac Cosmetics new Supernatural Dazzle Collection is a make up collection of lip and eye products rich in glitter for an ultra-bright make-up. 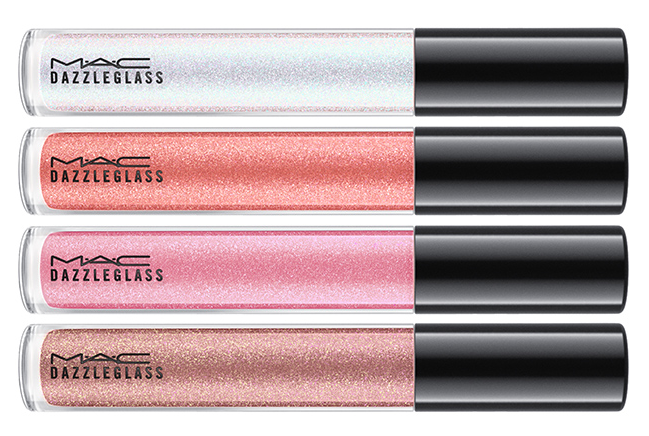 The collection includes new references from DazzleGlass and DazzleShadow, glittery lipglosses and sparkling Mac eyeshadows, which come back in this collection in some past colors and in new shades. Sparkling, luminous and of enormous aesthetic impact, all the new Dazzleglass and Dazzleshadows MAC Cosmetics are infused with glitter that give dimensionality to make up, making it vibrant and magnetic. "Don't hide your shine. New and fan-favourite shades of glitter-infused Dazzleshadow and Dazzleglass let all your otherworldly charms come to light. 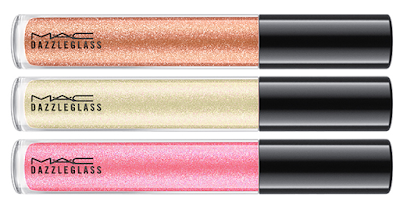 Eyes take on mythical, diamond-like lustre in the rich pigments of 6 new Dazzleshadow shades while lips shimmer with crystalline iridescence in 8 new conditioning Dazzleglass shades. 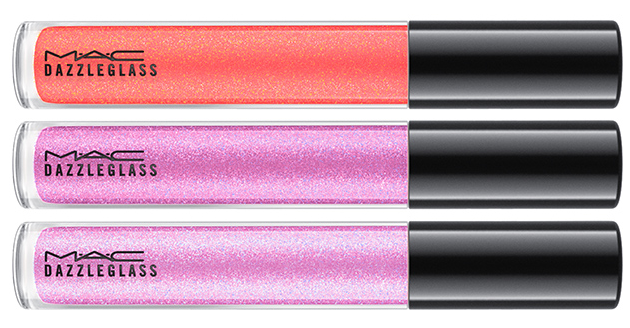 If you can't help but sparkle, show it off. 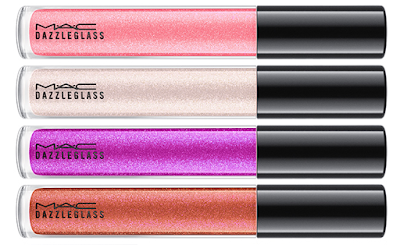 Step out of the shadows and dare to dazzle"
All the new shades are ready to become part of the permanent MAC line and to give our make-up an intense, decisive and fabulously shimmer character! 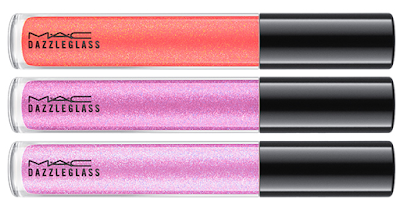 Moisturizing and non-sticky lip gloss. 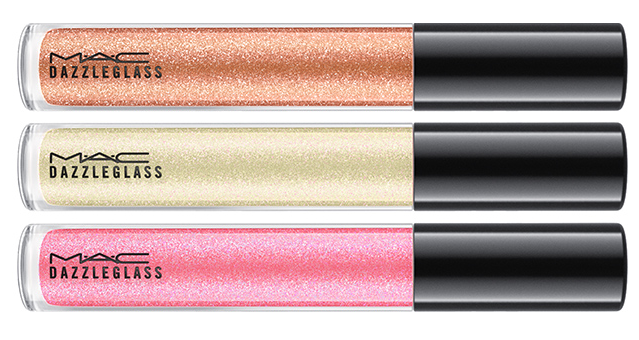 It has a bright finish and a texture enriched with glitter and iridescent particles for a three-dimensional effect lips make-up. MAC's multi-faceted eyeshadow returns in 16 new shades, Giving a multidimensional look and have a highly pigmented and long lasting color without losing brightness.